Look, the 32GB Nexus 7 is real, there is no denying that at this point. So rather than posting up screenshots from every retailer on the planet to show that it’s coming for the 100th time, we thought we would pass along this screenshot from United’s MileagePlus rewards program that lists the device as being available for order. If you have 49,000 Award Miles, you can order this bad boy today and receive it in 10 business days. On a related note, we have seen shipping screenshots from distributors that show fulfillment as early as 10/17 (today), with most big shipments arriving on 11/7. I’d say the first week of November is your launch week. And remember, that Andy Rubin is going to be on stage at AllThingsD’s conference to talk shop. Most of us are assuming that Google will hold a press conference some time around his appearance to unveil the LG Nexus 4. 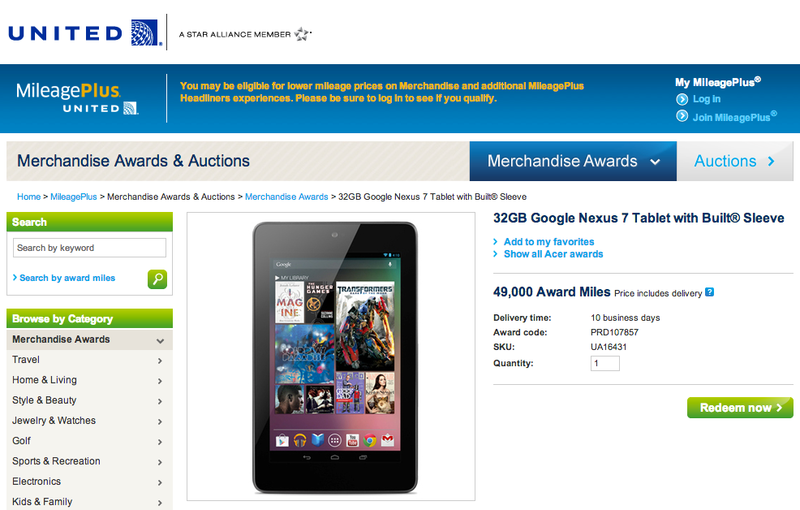 I wouldn’t be surprised if they announced this 32GB Nexus 7 as well. Swype Beta Receives Update, Tell Me Again Why It Isn't In Google Play Yet?